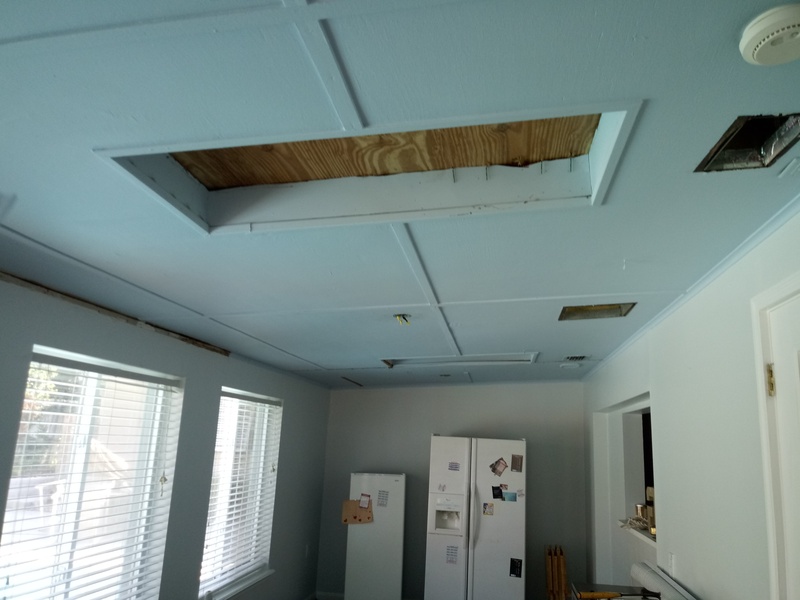 Customers wanted to fill-in skylights, on converted back porch area, to eliminate all the excess heat and humidity they caused. 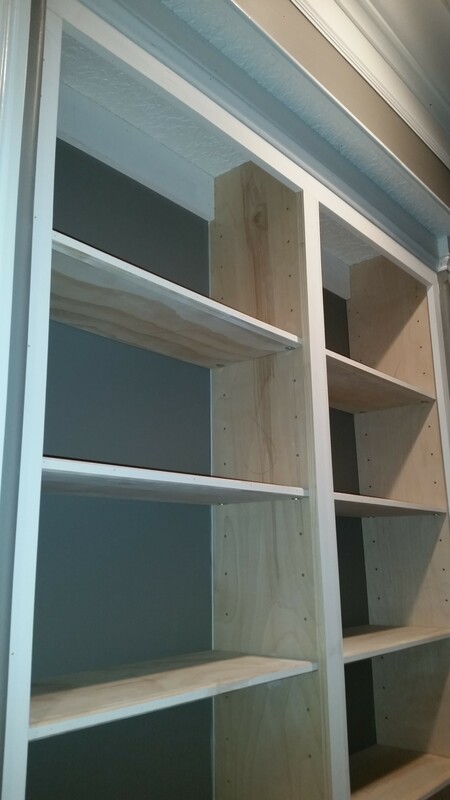 So we cut plywood and installed a ledger, dropped in cut outs of 3/4 plywood and screwed them down well. 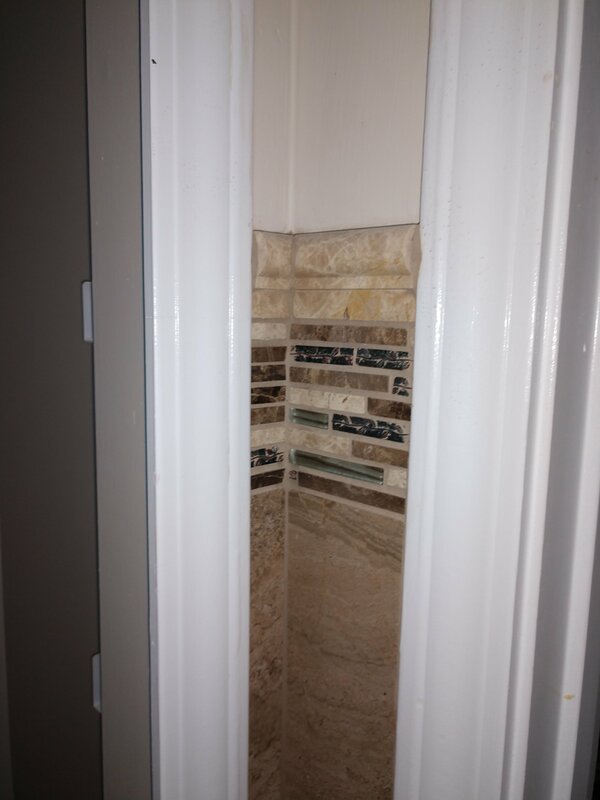 Then we removed poorly installed and missing crown molding exposing an expected 1″-2″ gap along the top of the wall area. 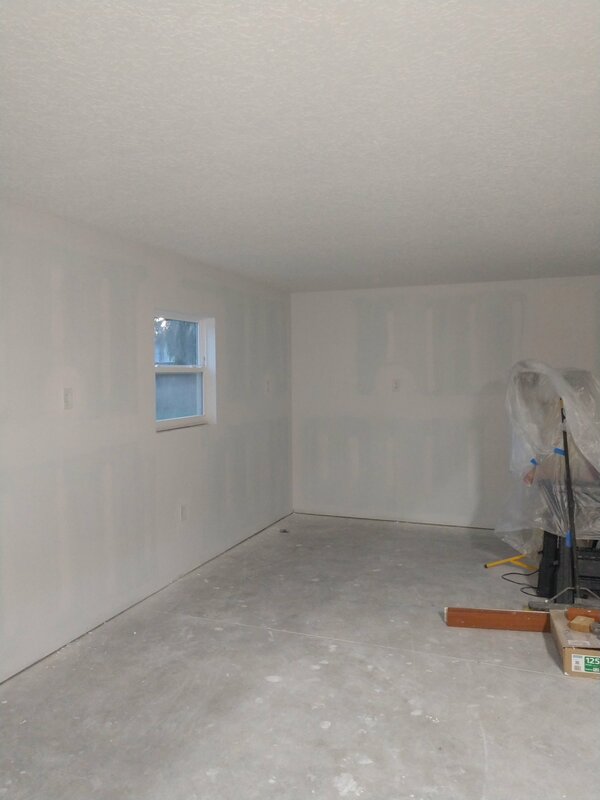 They never finished the drywall all the way up!! 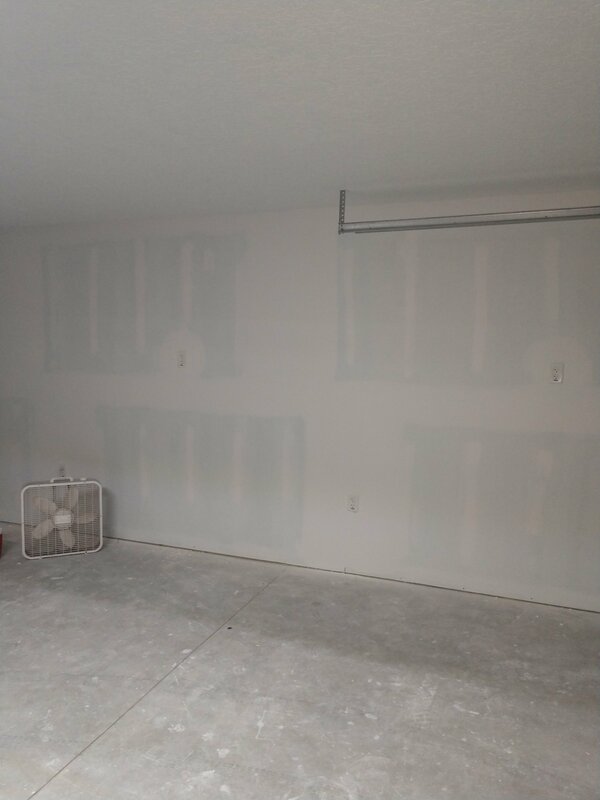 So I called my drywall guy and had him go over there and do a quick fix with some tape and some mud to bring the drywall tops up so that there’s not going to be an uneven large gap at the top. 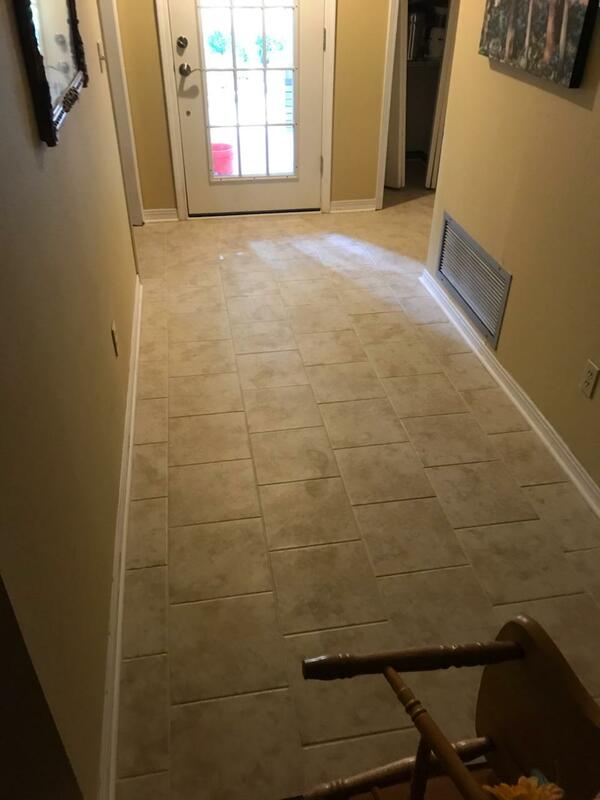 It was unexpected but it was a little extra. 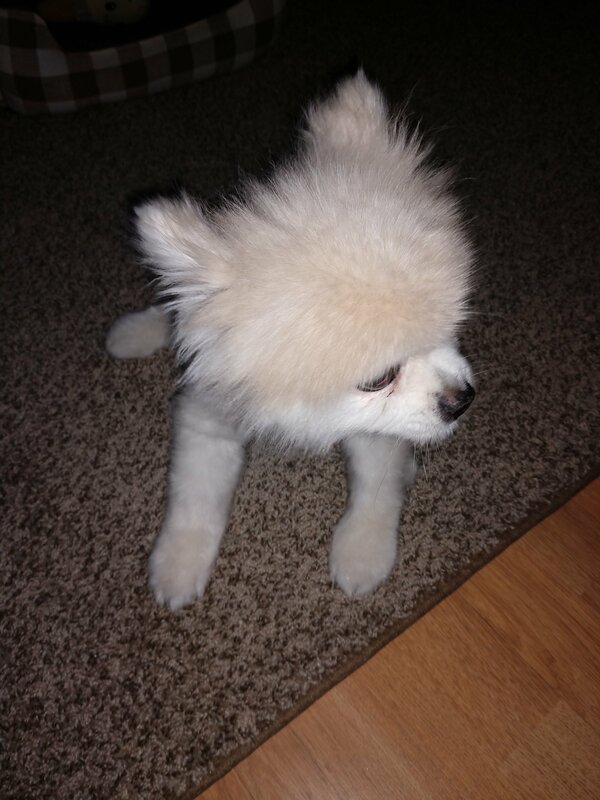 Keyword, little. 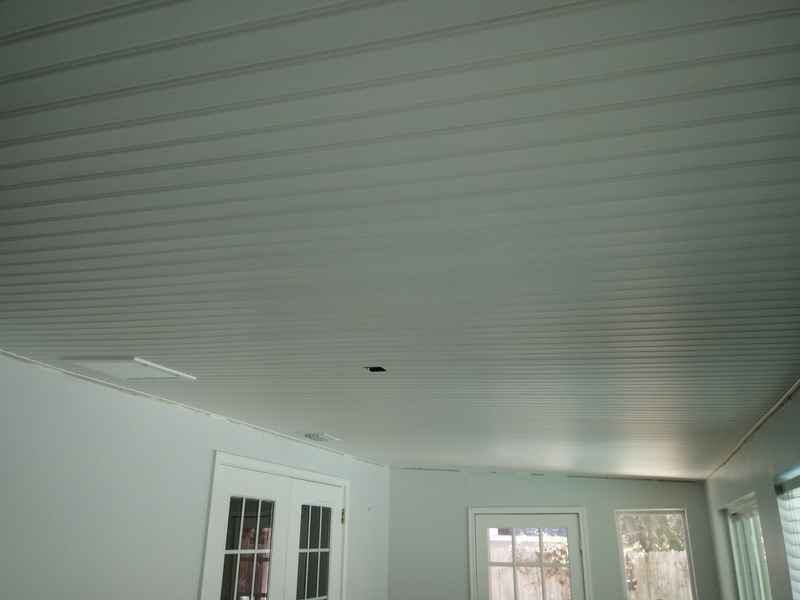 Customers had separated garage workshop built on the side of their home. 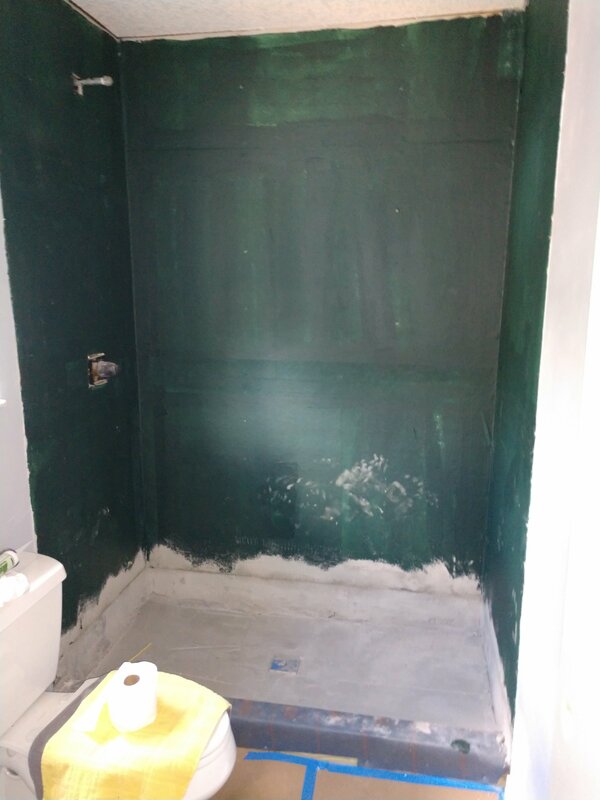 They called us for an estimate to install drywall, I recommended green board to thwart any moisture issues in the future. 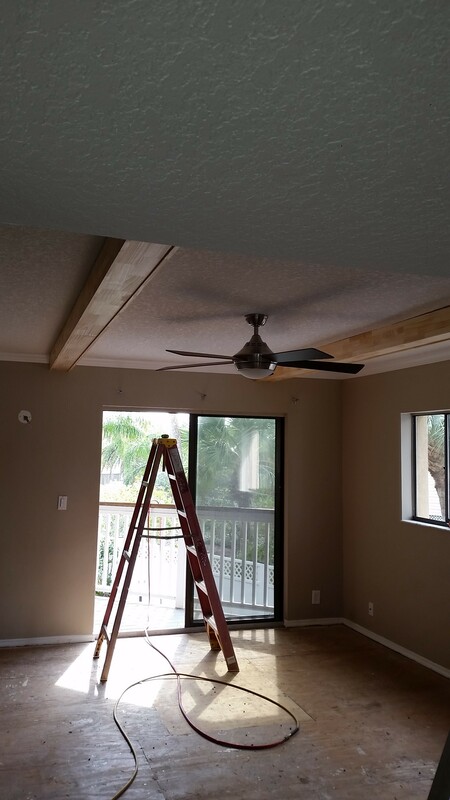 We finished the walls smooth finish and textured the ceilings with knockdown texture. 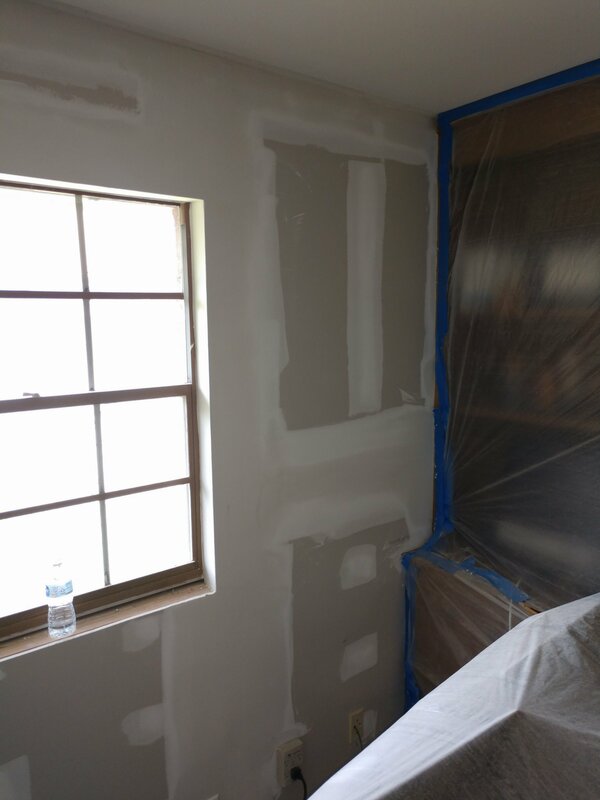 Then we primed the walls with Sherwin’s Problock latex primer/sealer. 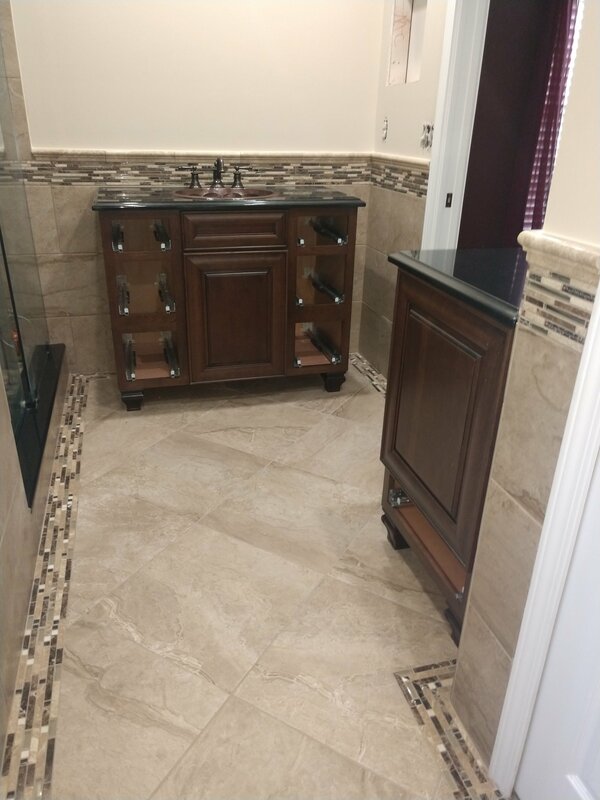 Repeat customer had us back to remodel their master bathroom after having us remodel their hall bath last year. 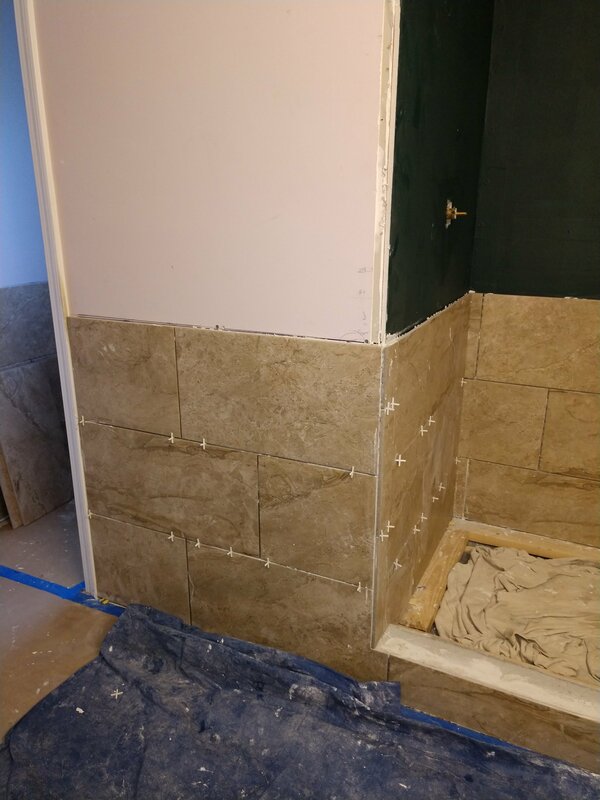 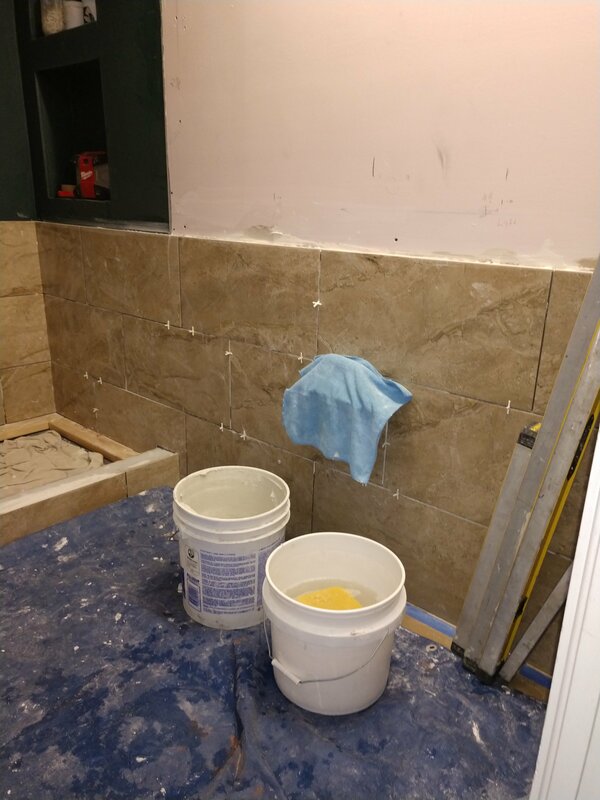 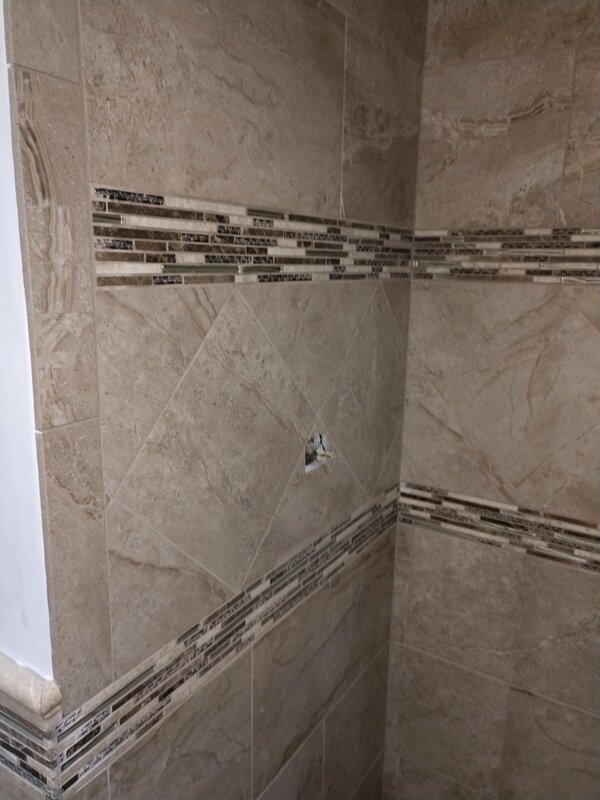 We decided to build a custom shower with double niches and smaller shave ledge. 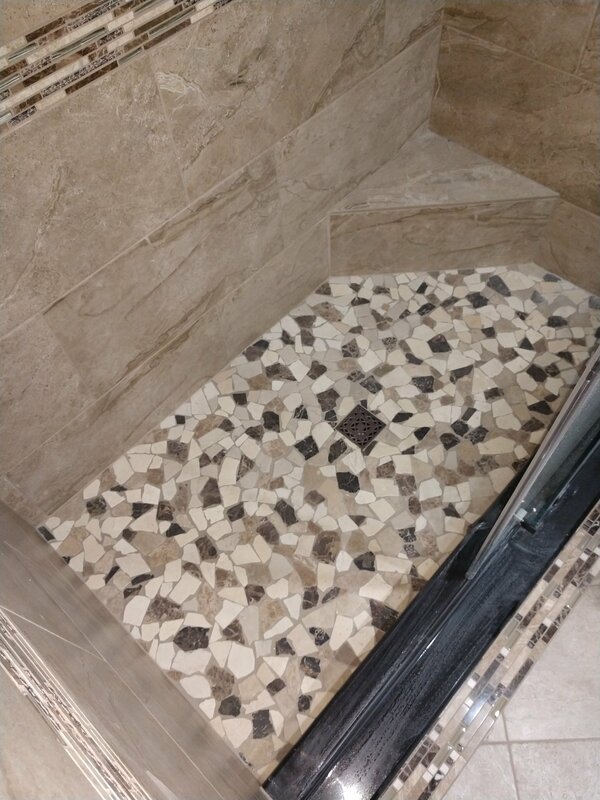 Customers bought pre-made foam niche and bench from www.NobleCompany.com space age foam that will never mold and is super easy to install and tile over. 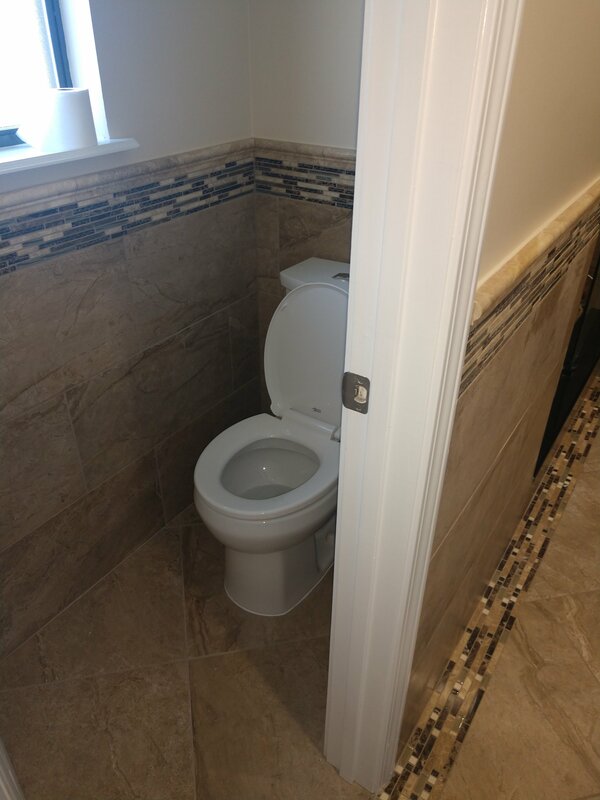 We cut down regular corner seat to custom build lower shave ledge. 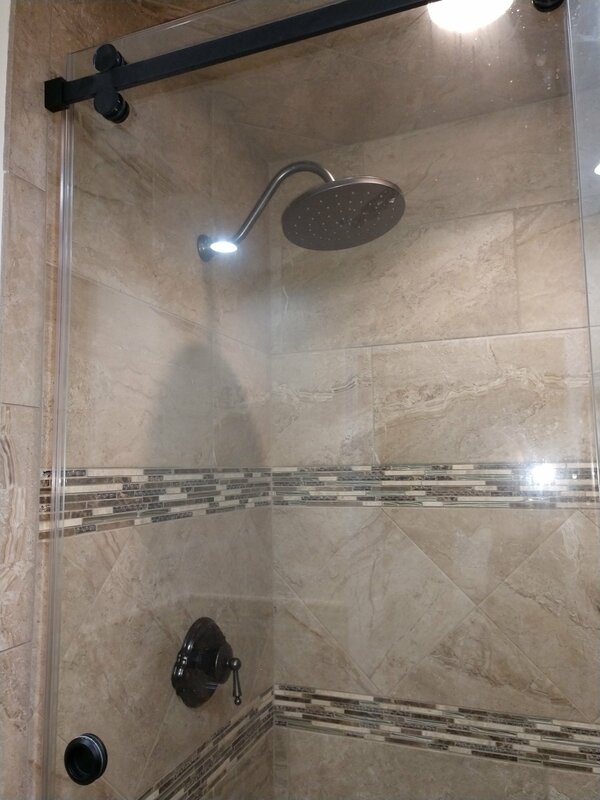 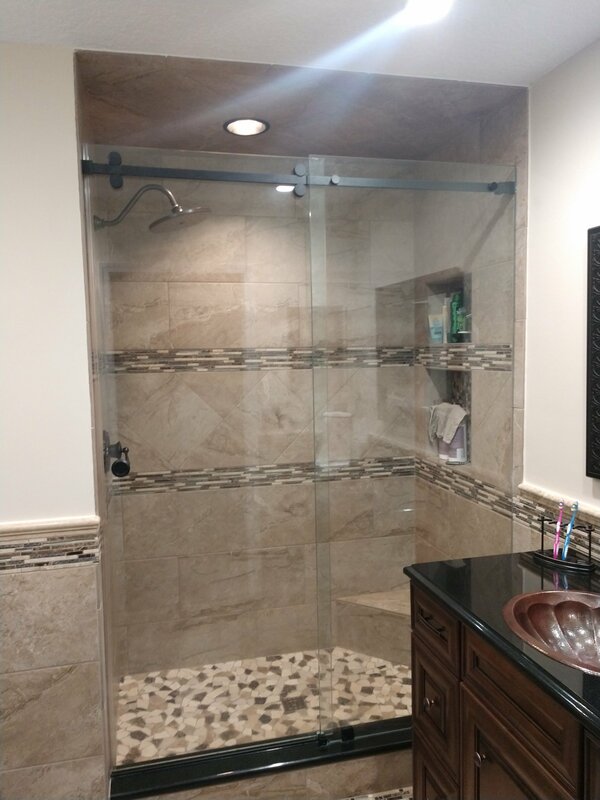 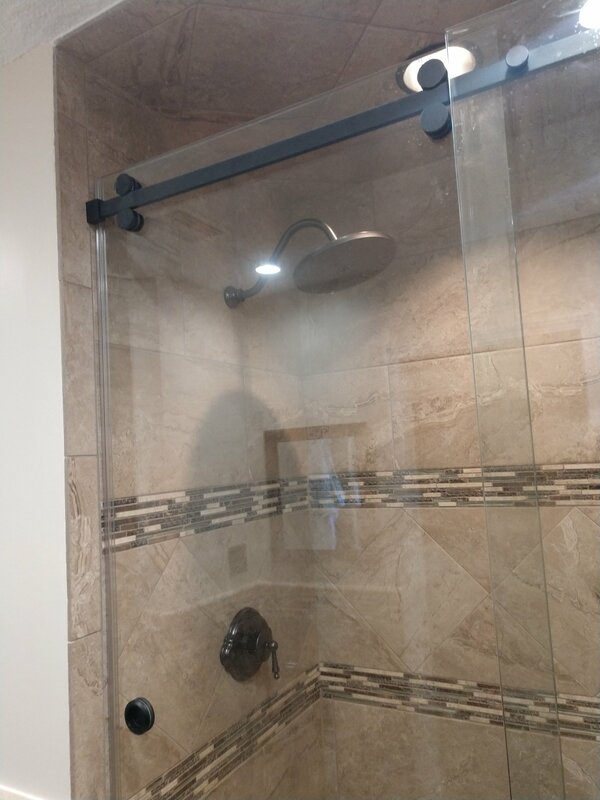 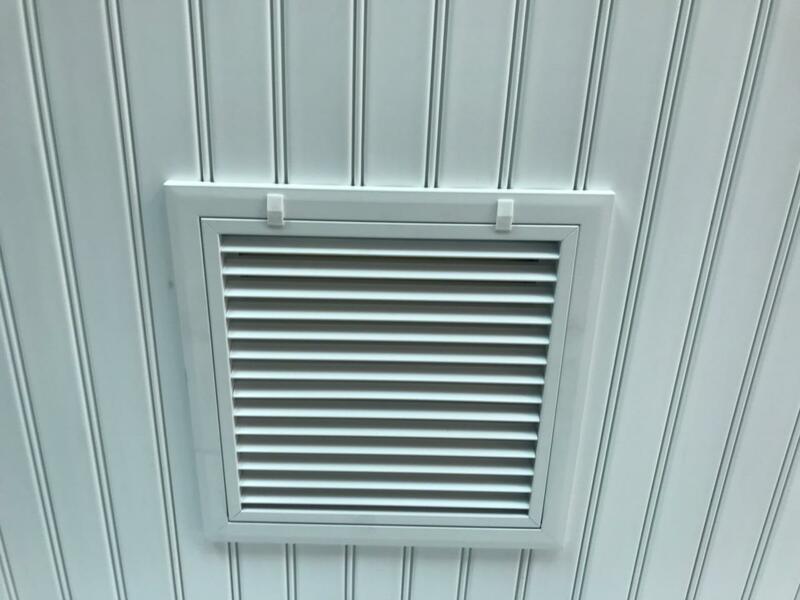 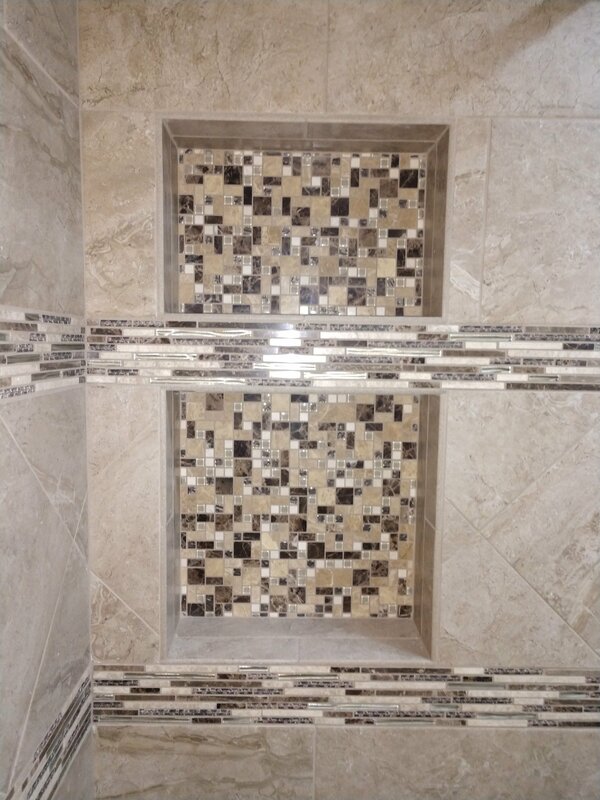 Custom listello’s installed in wainscotting that crenalates around room and continues through shower without missing a beat and a second designer listello that runs above first border and tops the standing diamonds, chest-high, only in shower area. 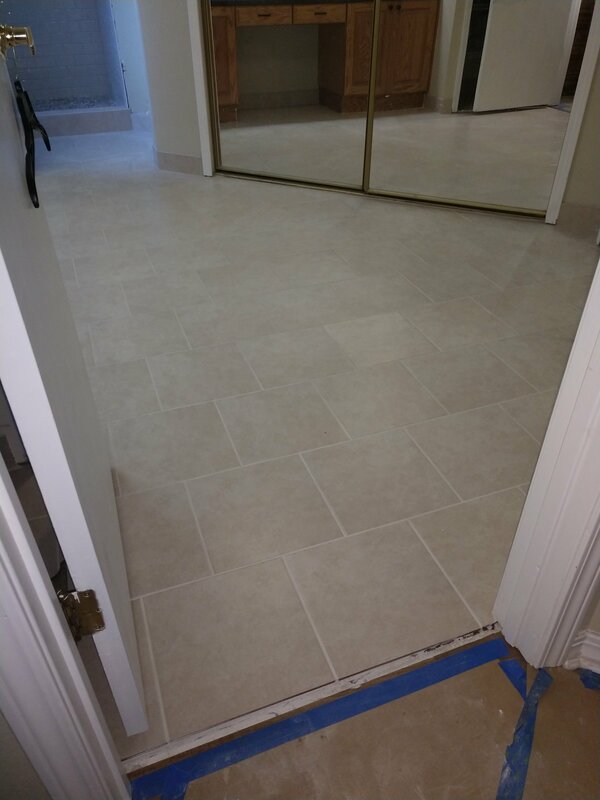 Drop-in floor, listello border also runs around the angles and turns of the room adding pop to the floor and standing soldier border to surround diamond pattern inside border. 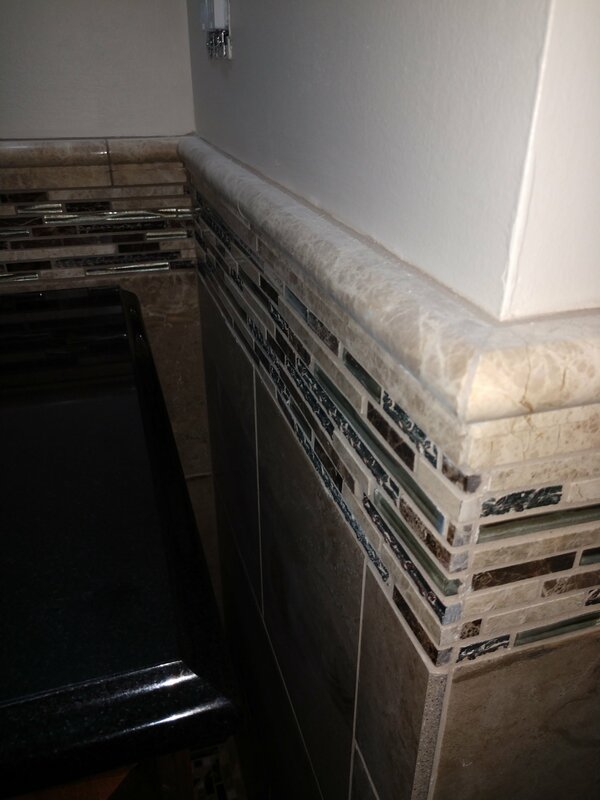 And finally Black Magic sill on curb sets off the darker accents in mosaic sheet tile for the shower floor. 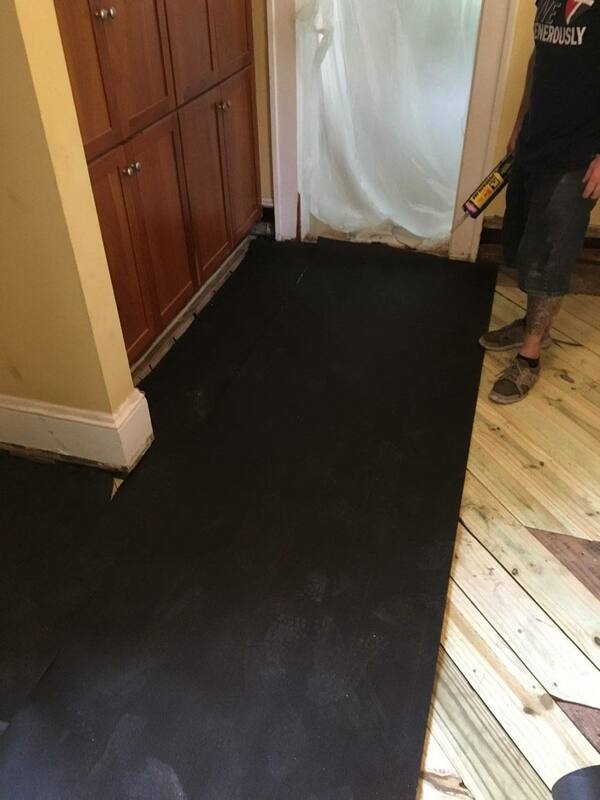 Subfloor in Riverside was badly damaged, and was grossly under-built originally. 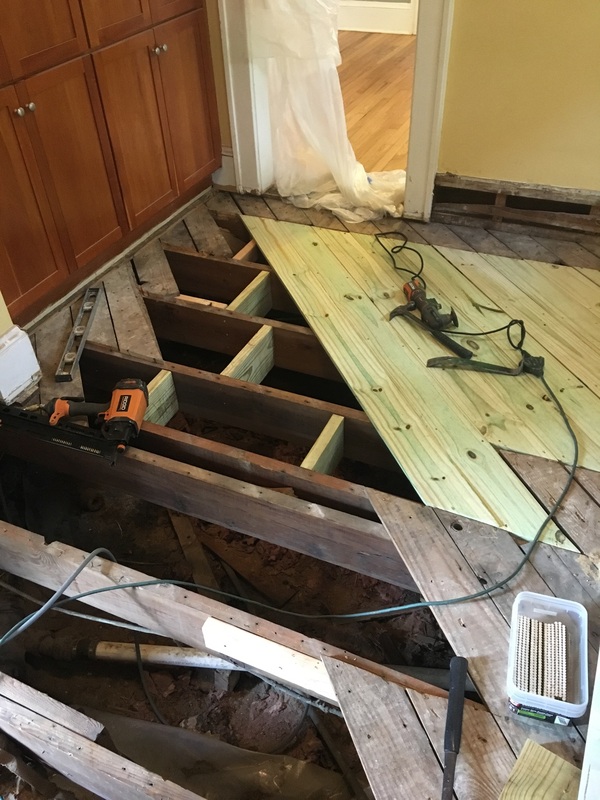 The joists were never supported between each other with “hangers” and the slats (1″x4″) above the joists was badly water-damaged and dry-rottened. 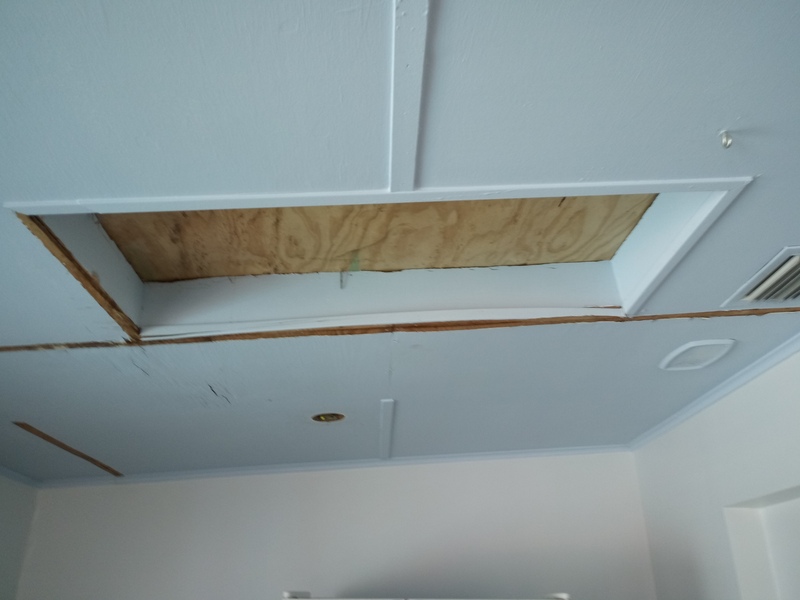 So we removed the damaged slats, installed 2″x8″ support boards (approx. 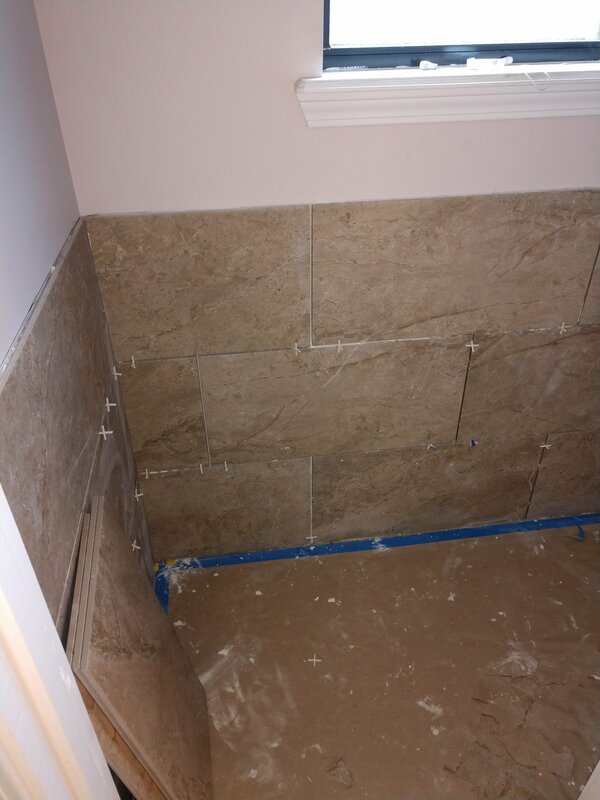 60 total) to shore up the floor, installed pressure-treated slats (cheaper) and re-screwed the entire complex. 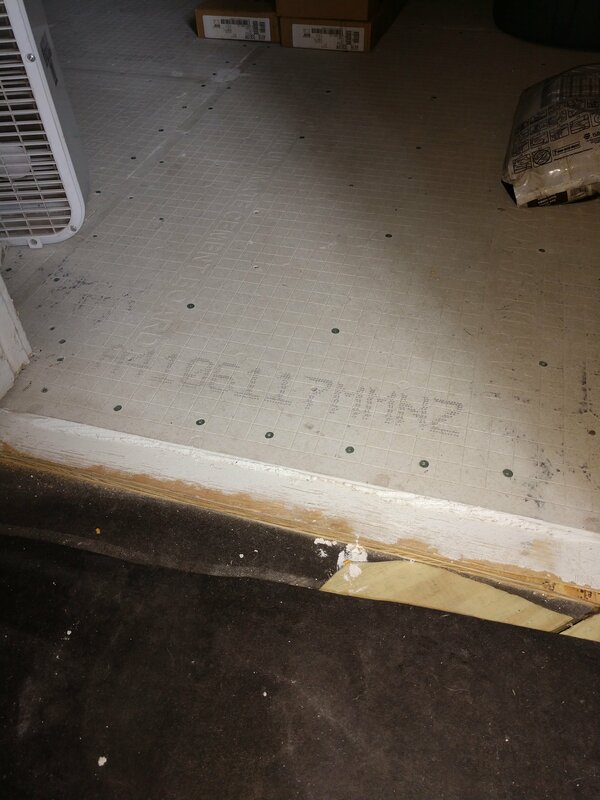 Then we installed new 3/4″ plywood subfloor using 2 1/2″ screws hitting joists as we moved. 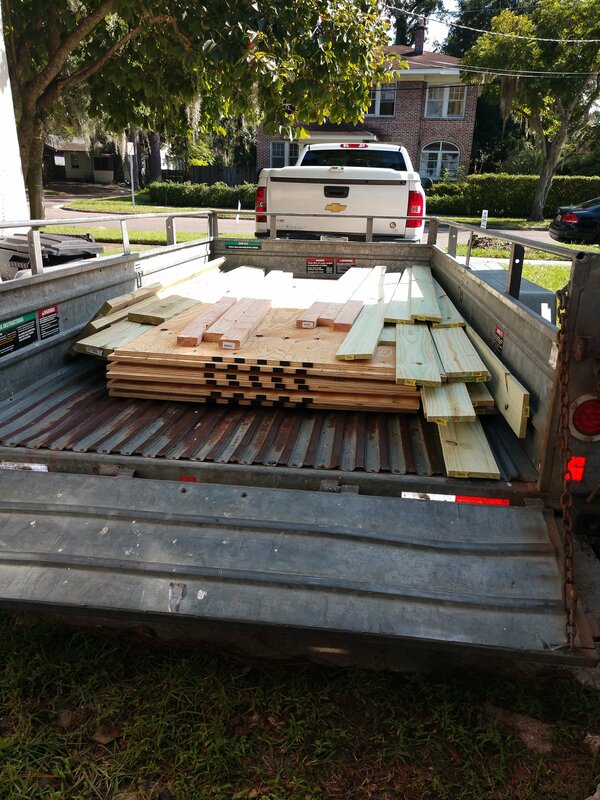 We also laid down 15 lbs. 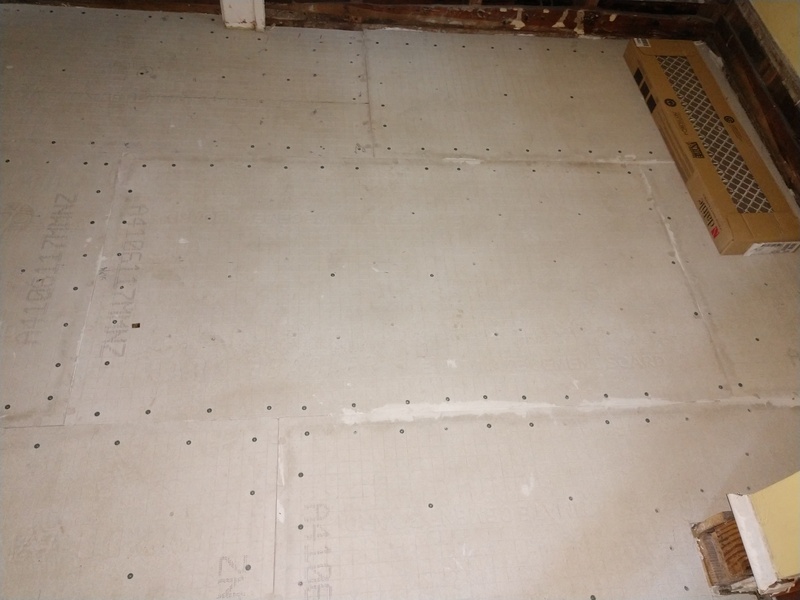 roofing felt as a moisture/sound dampener & barrier. 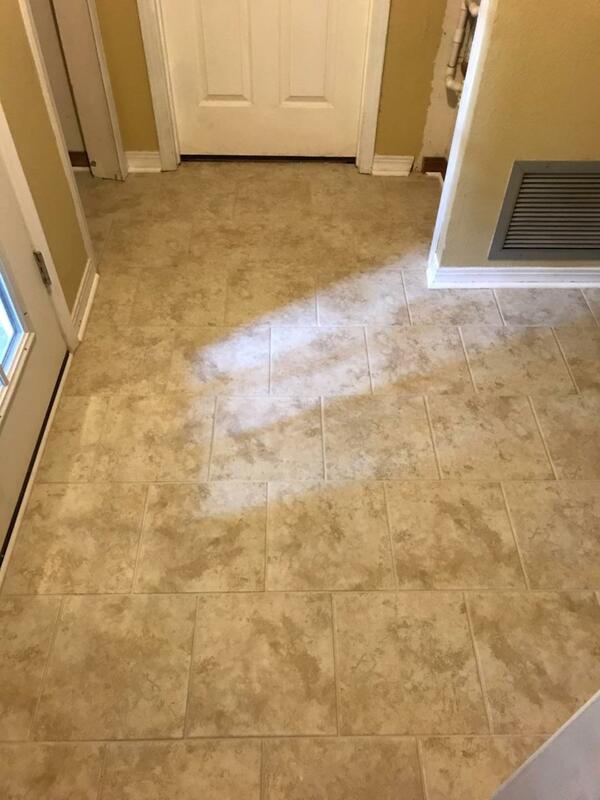 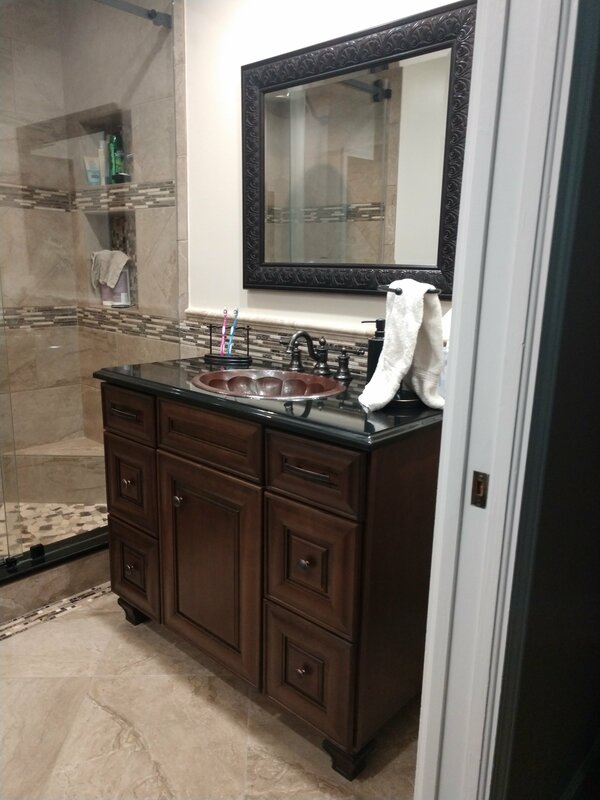 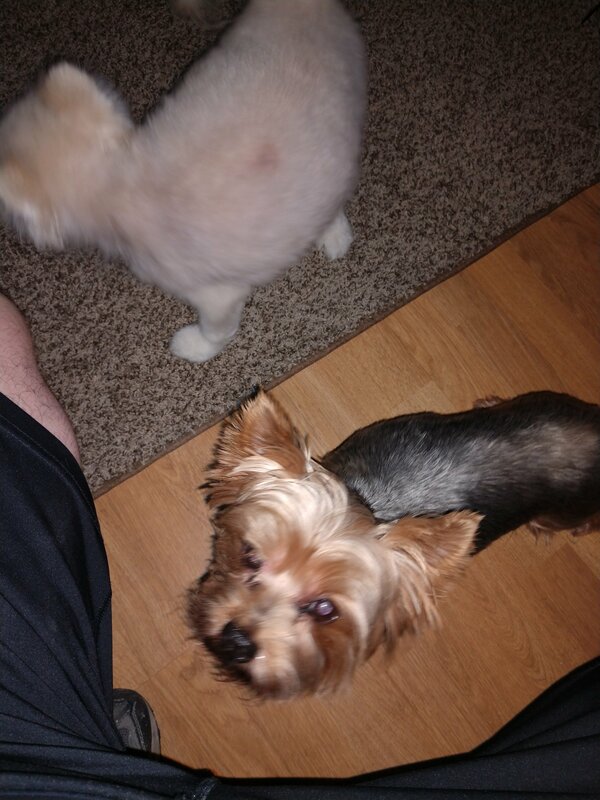 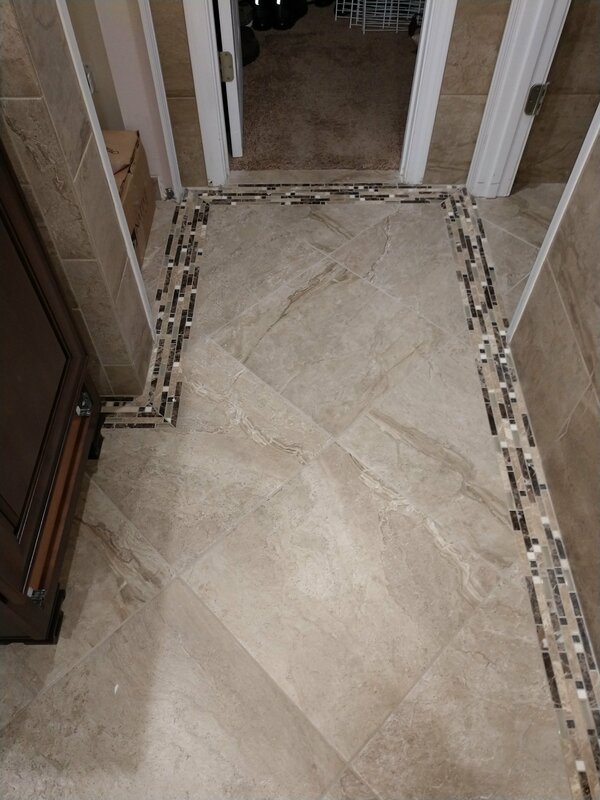 Customers had used us to remodel their master bathroom just 30 days ago, they loved the tile from the floors that they had us remove the floating laminate they had in the foyer and install a much more durable finish for their 2 small puppies. 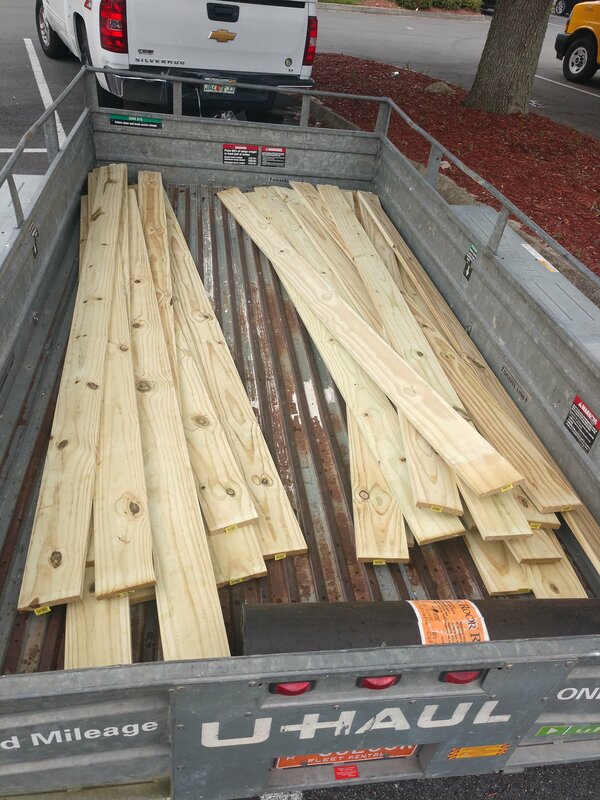 Removed approx. 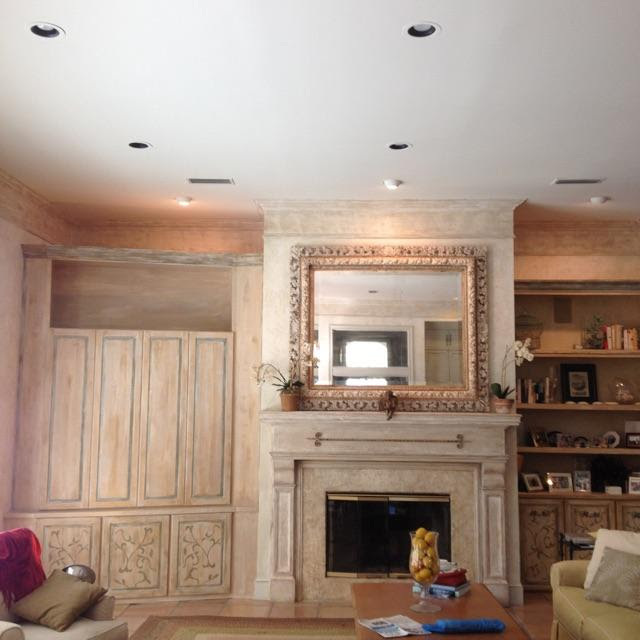 300 SF of old-school Luan styled paneling from home/office in Deerwood subdivision. 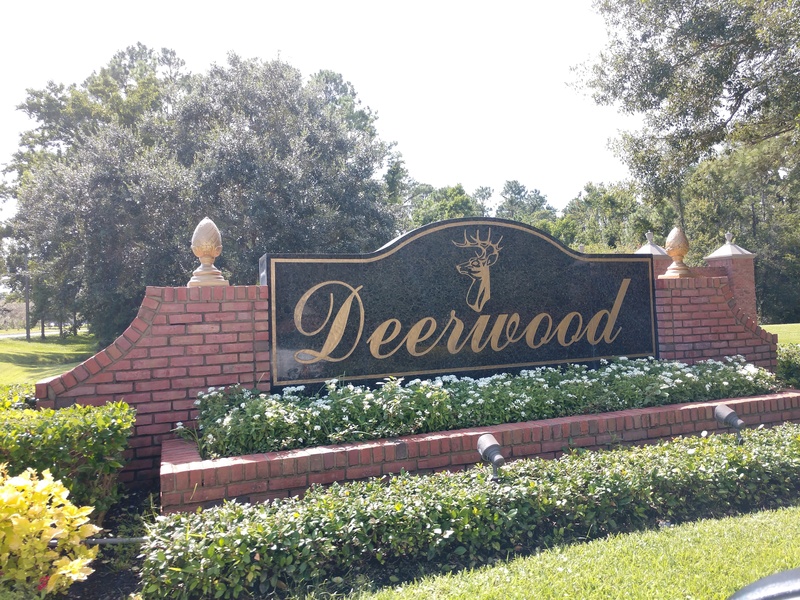 We love our Deerwood projects. 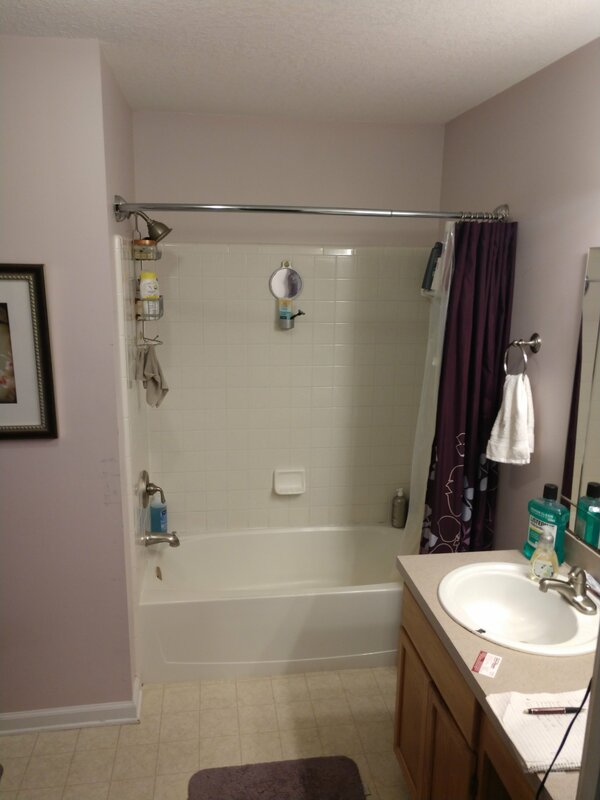 We have had about 2 a year, for the last 8 years or so. 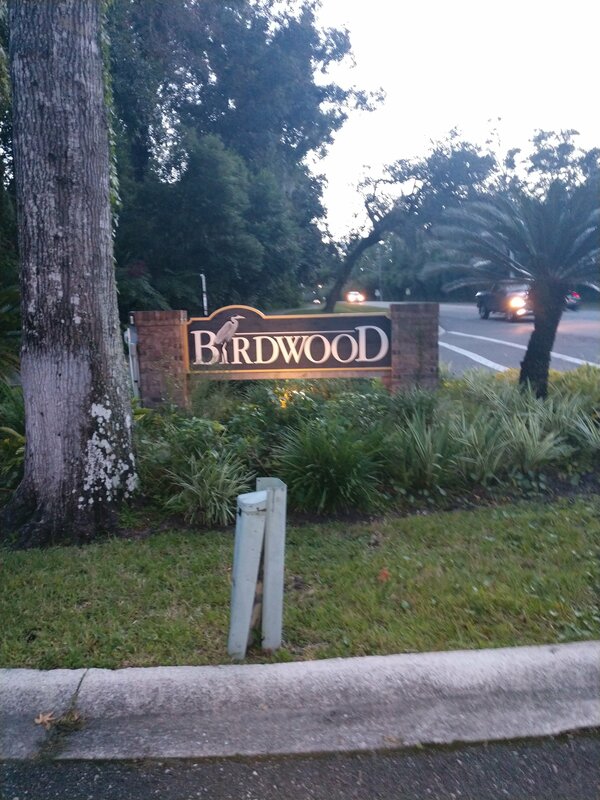 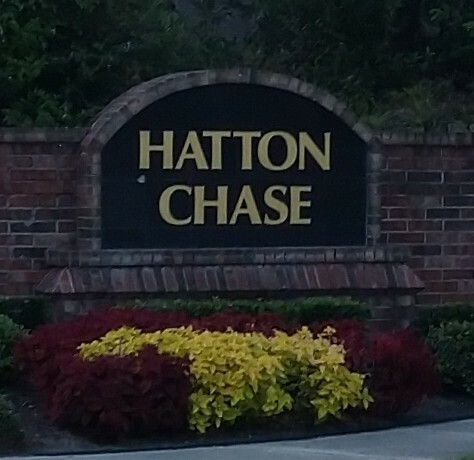 Lots of homes in the neighborhood built in the 80’s and 90’s. 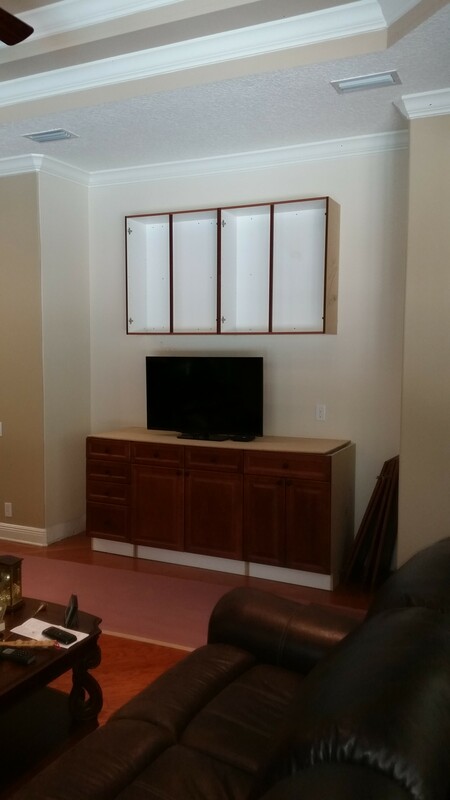 Installed traditional 1/2″ drywall using screws only. 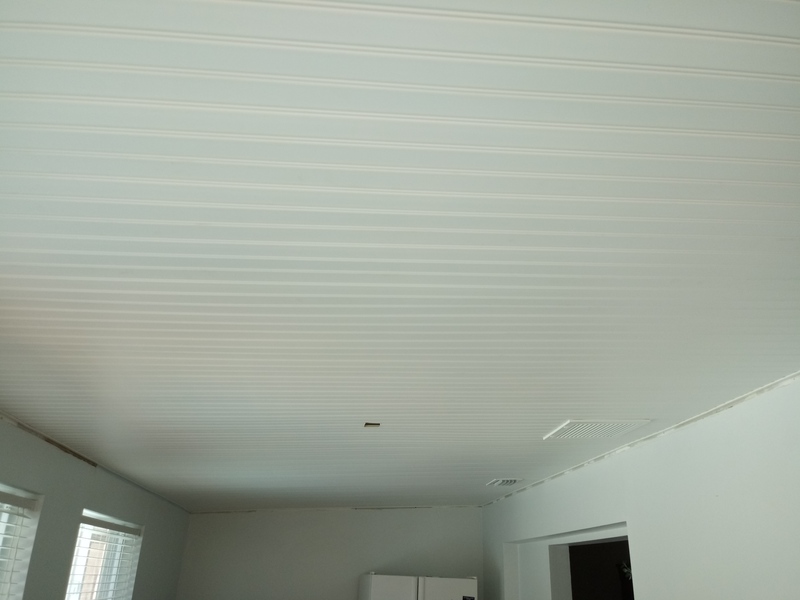 Taped and finished drywall, with a “slick” or smooth finish. 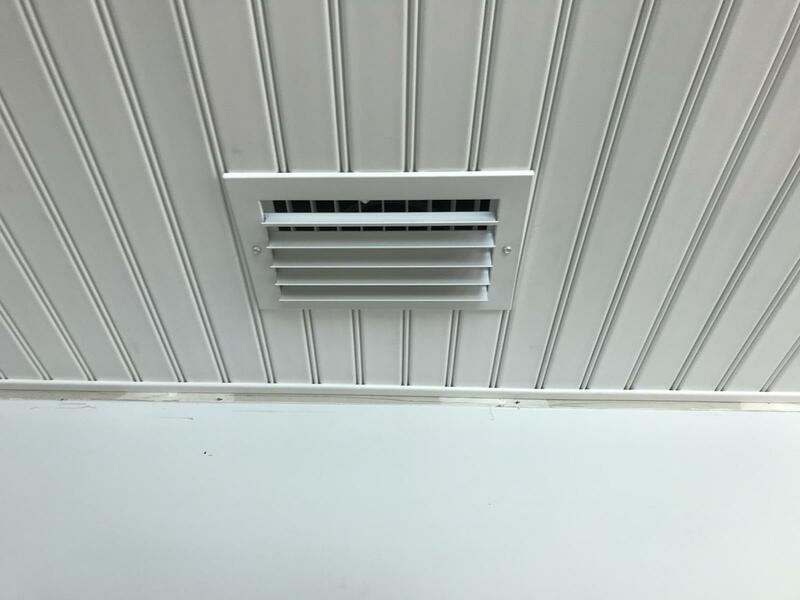 Customer elected to save himself a few bucks ($800) and he lightly sanded and cleaned (sponged) the new drywall walls to relieve dust. 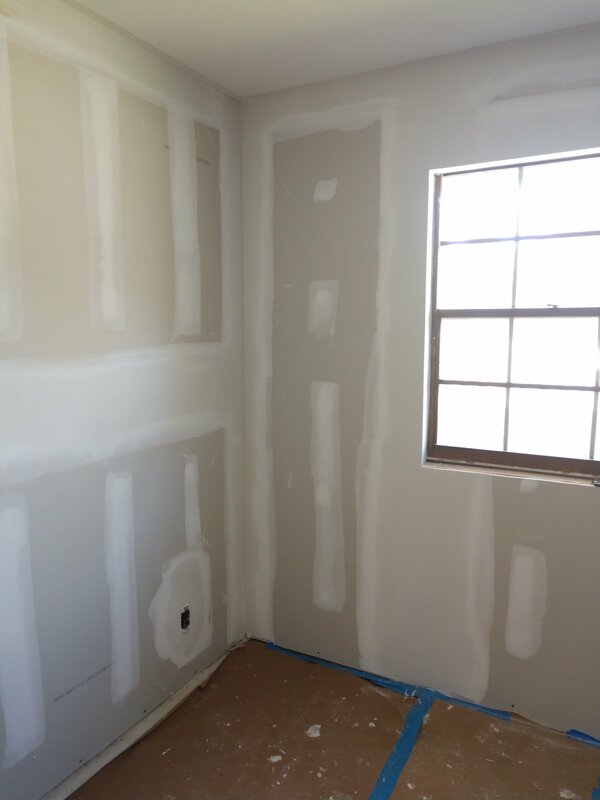 Then sealed all raw sheetrock using Sherwin Pro-block latex sealer/primer. 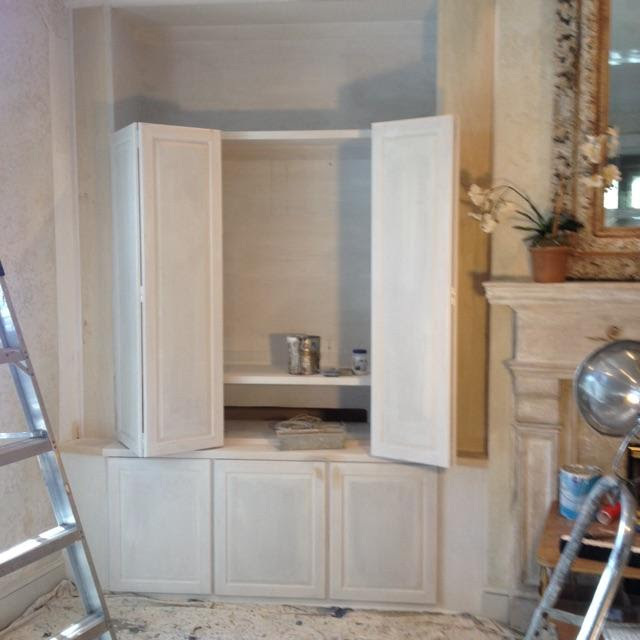 Then the following day, painted the walls with 2 coats of latex interior paint. 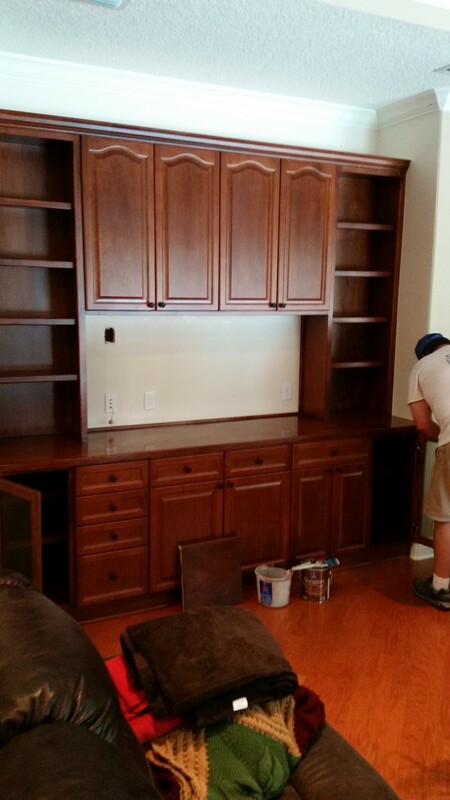 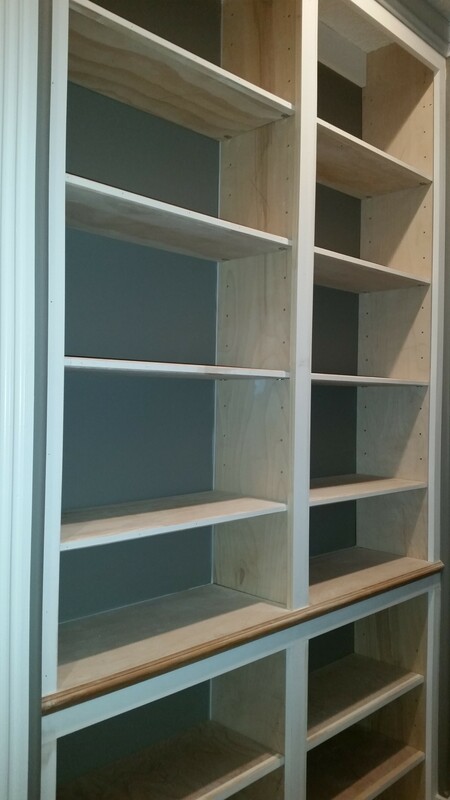 We were contacted by customer to add on to his built-in system, so we built additional pieces from Birch plywood and had our professional painter to come in to stain and finish cabinets. 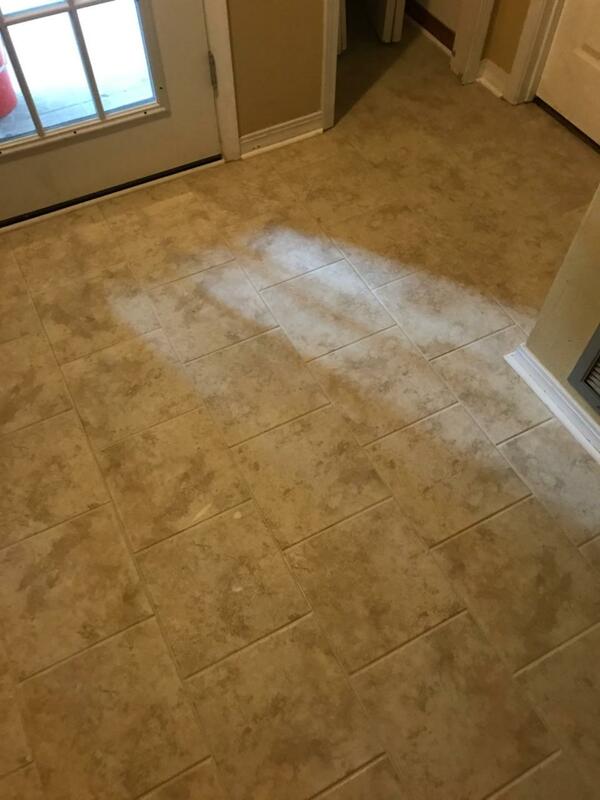 Match came out almost perfect!! 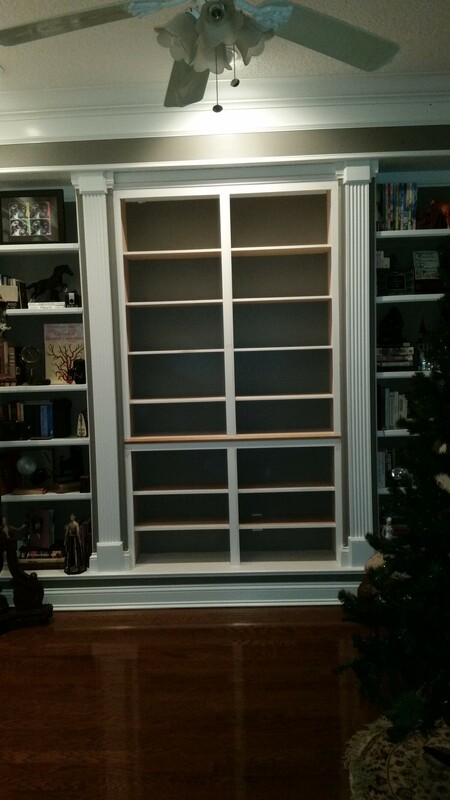 We custom built this bookcase and dividers into an already existing space and then we primed and painted it all to match. 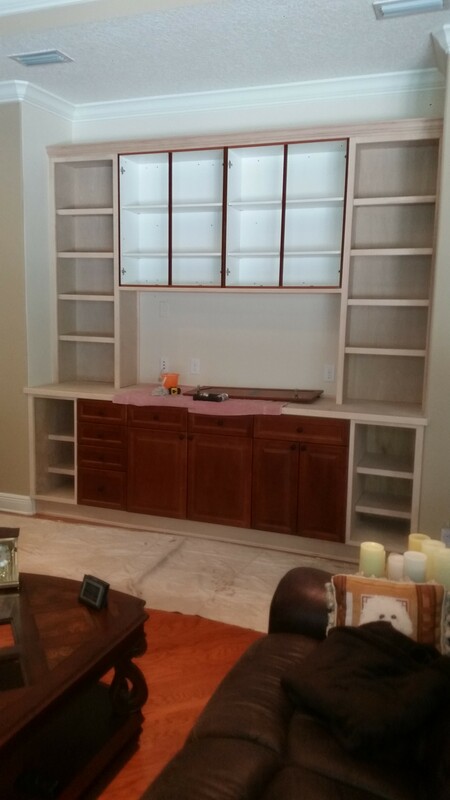 Shelves and dividers were custom made and planned/designed by customer and we built it to her specifications. 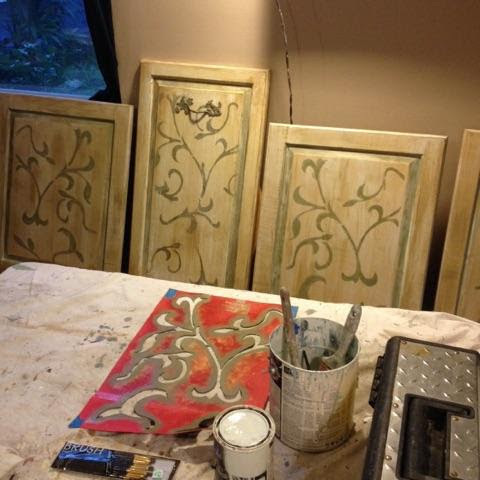 We had our for faux finish artist, faux finish these cabinets and add in custom stencil work. 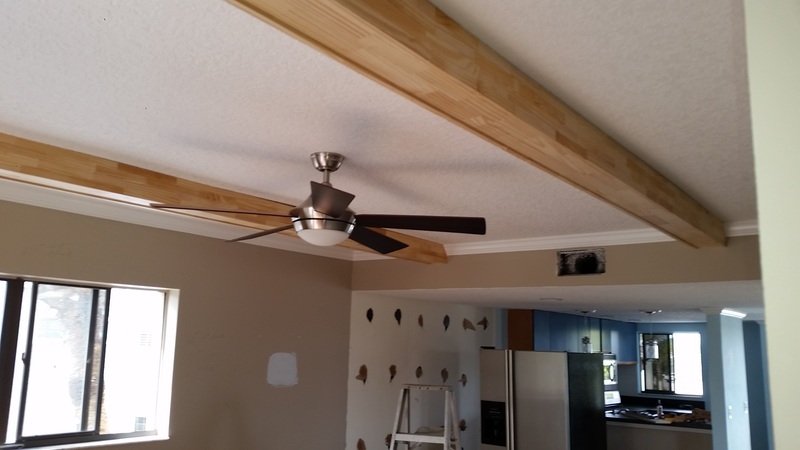 We custom built ceiling beams to customer specifications. 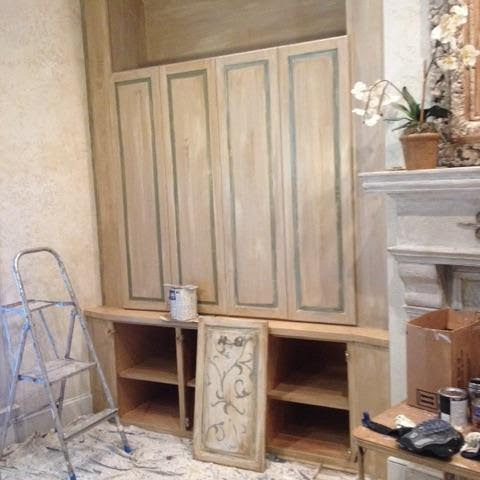 Then we primed and painted them to match the trim.